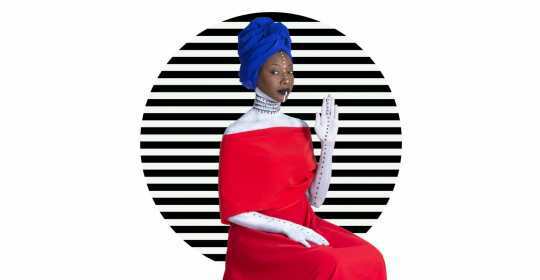 On her third album, Fatoumata Diawara starts the opening song, “Nterini,” with just her sweet, fine-grained voice and drums, laying down a groove as if to tip her hat to the wellspring of traditional music she draws from. Then the song picks up an electric guitar and bass, seguing into a marriage of past and present, setting the stage for the rest of this fine album. The singer-songwriter and actress was born in the Ivory Coast to Malian parents. She had a tough childhood, eventually being sent off to Bamako to live with an aunt who was an actress. Diawara became an actress too, featured in the 2001 film “Sia, The Dream of the Python,” but literally went off with a traveling circus to avoid an arranged marriage. She settled in Paris, acting and singing. She began singing back up to Mali’s Oumou Sangare among others, releasing her debut Fatou album in 2011 to critical acclaim. She also gained notice as an actress in the film "Timbuktu," which was nominated for an Academy Award. Like fellow Malian singer-songwriter Rokia Traore, Diawara plays a personal distillation of her multi-cultural life. Her soulful voice has a hint of rasp in its silky flow, and the instrumentation liberally uses modern and global elements, though she sings in Bambara rather than English or French. “Negue Negue” is a simmering, gauzy funk, moving along with chugging guitars and a tight-knit matrix of percussion. “Mama” is one of the rootsier if not traditional songs, just acoustic African and western strings (including cellist Vincent Segal) accompanying her voice - by turns darting in microtonal filigrees and wheeling through a sonic landscape that evokes an enormous desert sky. The harder-edged guitar of “Bonya” gives some oomph to the pop-y tune – one can easily imagine it rousing live audiences - but Diawara’s smooth singing keeps the tune feel warm and easygoing. 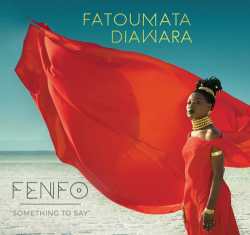 “Fenfo” translates into “Something To Say,” and indeed Diawara proves she has something to add to the ongoing musical dialogue between African and the West, the tradition and the modern.